· In the Intermediate Talent Solo category, Ariana Blume was Champion, Jenalee Garwood was Reserve Champion, and Cadence Swanson received a purple. All performances were dance routines. · For Junior Talent Solo, Rylee Wackler received a blue for her dance routine. · Cadence Swanson and Jenalee Garwood were Champions for the Intermediate Talent Duet category with a dance routine. · For Intermediate Vocal Solos, Cadence Swanson was the Champion, and Jocelyn Jordan was Reserve Champion. Ariana Blume received a blue. · Cadence Lambert was the Champion for Junior Vocal Solos. Gage Sandoz received a Blue. · Jenalee Garwood was the Champion Intermediate piano soloist. Jocelyn Jordan was Reserve Champion and Kate Cox received a blue ribbon. · Cadence Lambert was the Champion Junior Piano Soloist. · Gage Sandoz was the Champion in Junior Self-Accompanied solos and received a blue ribbon for his instrumental solo with his guitar. · Clover Kids participating were Cohen Lambert with piano and vocal solos and Brooke Brashears with a vocal solo. · In the public speaking categories, Town & Country 4-H Club received a Blue ribbon for an original group skit. · Gage Sandoz had the Champion novice speech and Parker Wackler received Reserve Champion. · Sophia Jordan was the Champion Senior speaker. · Cadence Swanson was the Champion Intermediate speaker and Jocelyn Jordan was the Reserve Champion. · Kate Cox had the Champion Intermediate Presentation and Jenalee Garwood had the Champion Intermediate Public Service Announcement. · In the Clover Kid category, Will Cox gave a presentation, Jaeden Garwood recited Cowboy Poetry, and Brooke Brashears delivered a speech. Sophia Jordan, Cadence Swanson, Jocelyn Jordan and Jenalee Garwood have the opportunity to advance to the District Speech competition to be held in April. 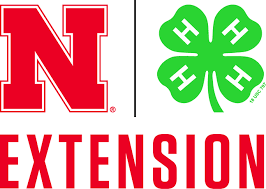 Kate Cox’s presentation will have the opportunity to advance to the Nebraska State Fair later this summer.